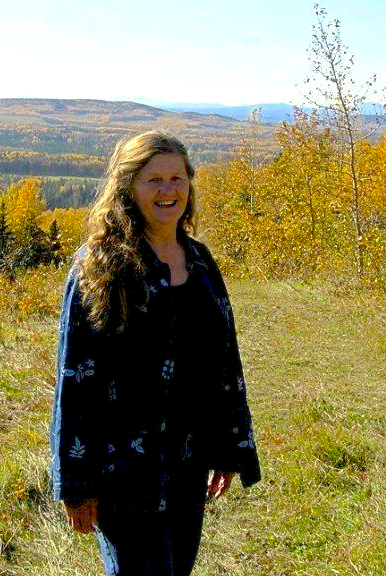 Marilyn Halvorson lives on a cattle ranch near Sundre, Alberta. She is a teacher, and the author of several well-known YA novels set in ranch country such as Cowboys Don't Cry, and Nobody Said It Would Be Easy. This is a year long journal beginning in September 1989 in which the author documents her life on the land, her work as a cattle farmer, and (the focus of every farmer's life) the changing weather. Though nature can be cruel, she will not take without giving in return. Hope walks hand in hand with despair. I met it on the creek bank as well. There stood a grove of young balsam poplars, shedding their coloured leaves and preparing for the death season ahead. But as I looked more closely at the trees, I made a discovery. Beside each dying, falling leaf was a leaf bud, sticky and tightly curled but as complete and perfect a leaf as it will be next May. Surely this is hope - and faith. A tree not yet stripped of this year's leaves, with eight months of fall and winter ahead of it, yet ready and waiting for that first warm week in May. While I am out poking around in the field I hear a sound far above. I look up. A long, ragged line of geese is plowing purposefully southeast across the heavy sky. I count, surprised at how hard it is to keep up with the moving line. There are ninety-five of them. They disappear into the distance, still calling back ever-fainter farewells to the north. But along with the inspiration and occasional wonderful descriptions of the nature world, there also seemed to be a cynical undertone that I found quite depressing. The butterflies are out today in the hot Indian summer sun, orange and brown velvet ones. Happy. Unaware that, surely, in a few days they will be dead. What does that matter? That will be then. Today the sun is shining. The world is wonderful. 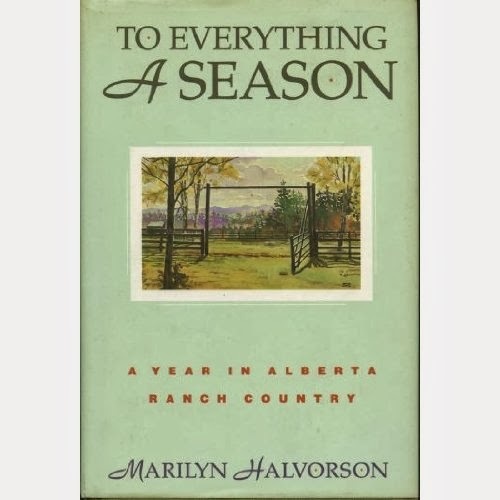 Marilyn Halvorson comes across as a slightly cranky farmer, and a bit curmudgeonly living a life divided between the farm and her teaching (she rarely mentions that she is a writer). Often the daily entries seemed like a few rushed words jotted down at the end of a busy day when summary of the weather and few incidents from the day come to mind. There was not a lot of narrative flow, and not often did I find it was insightful or inspiring or even very elucidating. Overall, I was disappointed by this journal, although there were some moments when she captured the reality of life on the land with clarity and precision. I must admit that I liked the above passage about the butterflies.I am drawn to a little darkness, and our not always positive reaction to it, that seems to permeate the Universe even on a sunny day. You might really enjoy this journal then, Brian :). I found there was just too much plain old gripping (the cat's dirty paws on the chair, car trouble, constant complaining about the weather) that I found tedious and unrelenting. For the most part it just felt like negativity that served no purpose beyond venting. There was very little self-reflection or insight which I would have enjoyed. The butterfly quote struck me because it was a rare moment when she seemed to be really enjoying the beauty in nature and even then the dark cloud appeared. A bit like reading a diary written by Eeyore I suppose. Thank you for the recommendation, Samantha. I had not heard of The Snow Child before but reading a little about it just now piques my interest! I'm sure my library will have a copy as it seems to be very popular. I've had a couple of disappointing reads this month. I don't really like writing negative things about books because I know that it may be just the thing for someone else. I guess I really wanted to like this one because the setting is somewhat local (southern Alberta). Well, sometimes I've been grateful for a negative review (if I trust the author's opinion, it is very helpful and can save me some time that might otherwise have been lost from trying a book I wouldn't end up liking). And if blogs are places to puzzle out one's thoughts in the company of other readers, where better to think through why a book didn't quite work for you? That being said, I rarely post negative reviews either - with so little blogging time, I'd rather spend the half hour writing about a book I wanted to recommend. I'm sorry you've had disappointing reads lately! That sounds discouraging. Yes, it's really just a matter of the time. I'm thinking that I'm going to focus on the books I enjoyed and want to spend more time with from here on out. I have had some really enjoyable reads this month too and don't want those experiences to be overshadowed.